Posted on Saturday, August 18th, 2012 at 6:30 pm. The Taiwanese American Professionals (TAP) cordially invites you to attend the 8th Annual Banquet & Casino Night! Featured events during the evening are TA honorees, Live TA performances, 15 casino tables, DJ, Dancing, silent auction, and more! Join hundreds of other young professionals and community members, for a night of celebration and fun with new and old friends. This event brings the community out to network, celebrate the past year, honor people who have made a difference, highlight upcoming talent, fundraise for youth and professional programs, and have fun! Come out to play Blackjack, Craps, Roulette, Poker, Pai Gow, and more! Win prizes such as hotel packages, certificates to top L.A. restaurants, Disneyland/Universal tickets, massage packages, home packages, and MUCH more! Attire: Semi-formal. Masks are highly encouraged! 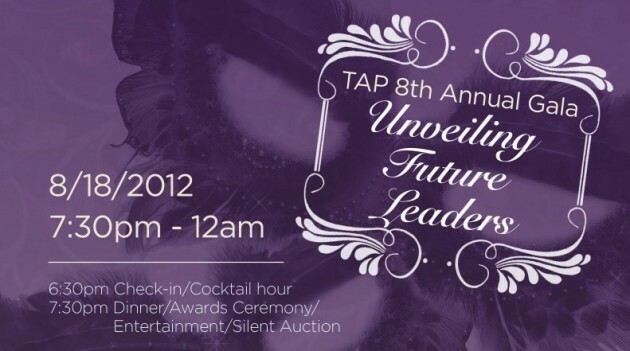 For more information, please visit: http://tap-la.tacl.org/events/casinonight/.